There is no doubt that any more or less competent historian having a university diploma and armed to the teeth with recognized and well-established opinions of the authorities will adduce plenty of objections to our plain and unpretentious notes, but this won’t upset us at all, on the contrary it will be somewhat entertaining. As a matter of fact, the search for traces of the Primordial Knowledge is rather easy; one should just know what to search for, thus I wonder why before us none of contemporary historians has managed to put together such a great number of very similar facts. I am talking about the general global picture here, and hopefully within the next several weeks we will collect all the puzzle pieces, and you will see the outcome. 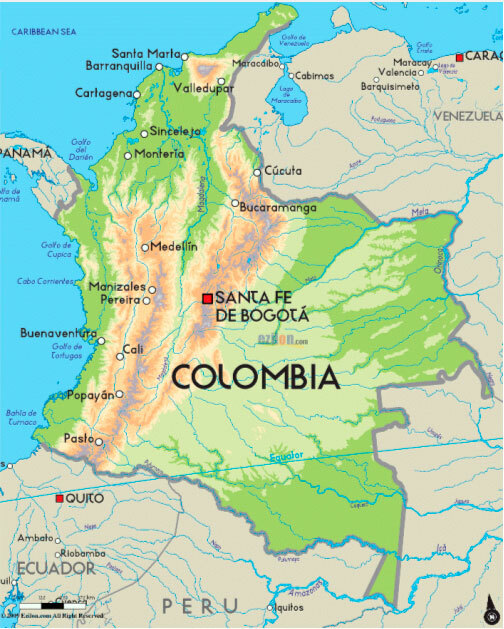 Well, let’s move further... We look at the map of the world and see that southward of Panama the first country in South America is Columbia. Having made just a couple search steps on the web, I found an article The Golden Tumis of Columbia, where it is said that in the history of Columbia two major cultures are marked– Tairona and Muisca. The Tairona period is dated 900-1650 AD, though the culture flourishing fell on the 11th century! The 11th century again! Moreover, here we also find a legend about the coming of the mighty founding father (an analogue of Quetzalcoatl) who arrived from overseas (from the north!) and built a whole kingdom that later on was called the Sican civilization. On the right (please, note!) there is a symbolic picture Naylamp Peru. It looks like the lateral Aspects, the crescent (Allat), and the symbol of enlightenment, which we will describe in more detail below. The Moche people were impressed by this mysterious man and made a low now before him. According to the legend, that was how the Sican Kingdom emerged. 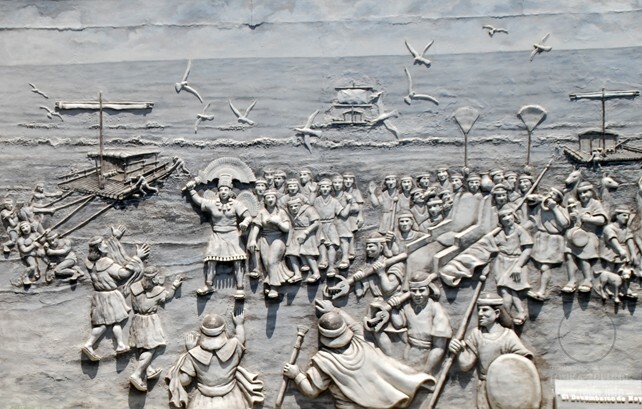 Researchers believe it took place between 900 and 1300 AD. Naylamp built a temple he called Chot and placed there a green stone idol called Llampayec. A thousand years have passed, so let me repeat I don’t see any special sense neither to search for more accurate chronology down to concrete years nor to describe the rich heritage of one or another culture in our articles. Let researchers do so if they like, while we will follow the fingerprints of the remarkable Personality who brought culture flourishing and development into the world and was worshiped in all places where his feet stepped, and will mark elements found in ornaments and extant artefacts, which are identical to those mentioned in the Primordial Knowledge. 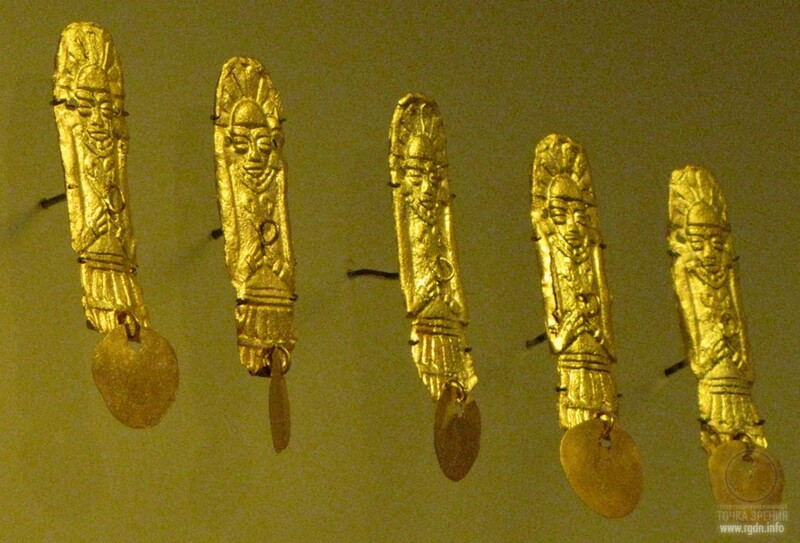 In particular, we took notice of the exhibits in the famous Gold Museum (El Museo del Oro) in Bogotá, Colombia. Doesn't this look like a crescent, or Allat? The same hands-on-the-belly posture again. This is a discovery of discoveries – the symbol of human spiritual liberation! 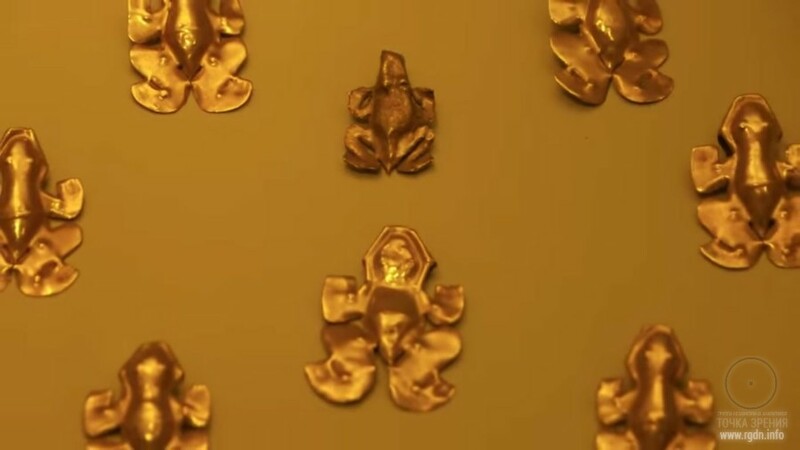 For those who want to know more details about the spiritually priceless golden heritage of Columbia I suggest the following links: Sican Tumis, The Legend of Naylamp and The Gold Museum in Bogotá. 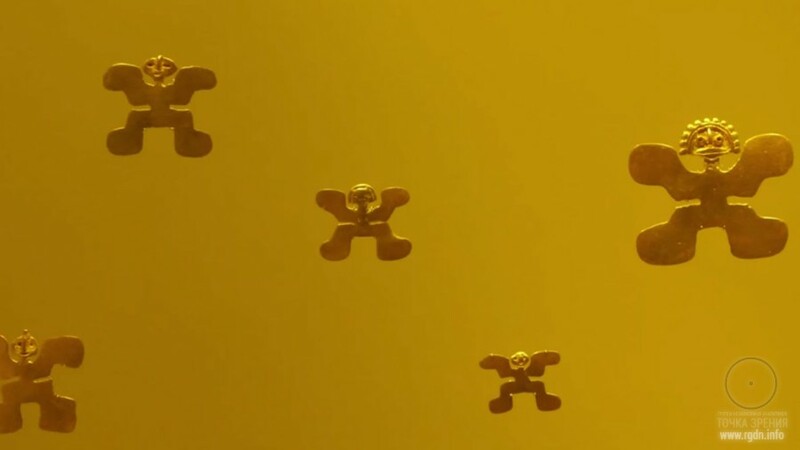 For those who have read the AllatRa book there are plenty of extremely interesting information and bright views, since the golden adornments are literally permeated with sacral symbols. This is another indication of the human lateral aspects, and not only. I will try to see here also two more oppositely directed spirals, a cone (or the ezoosmic grid), the numbers 3 and 7, and symbol of enlightenment, and so on. All these images and symbols were based on the knowledge of spiritual practices, particularities of awakening of spiritual forces in a human being, and manifestation of the moment of fusion of the Personality with the Soul. Incidentally, in ancient times the process of achieving such a spiritual fusion, enlightenment and perception of the Truth was designated with a symbol that looked like a “bug”. At that, originally it was placed with respect to a spiritually matured Personality, regardless of whether it was a woman or a man. Often, the “arms” in this sign were depicted as a symbolic Allat sign, while the “legs” had the form of two spirals twisted in opposite directions. In the sacred knowledge about the human being, as a rule, spirals are symbolic representations of either directions of energy movement in the process of spiritual practice, or the powers of Allat if this relates to information about the origin of the world. A spiral that was twisted clockwise meant positive, creating spiritual forces, while a counter-clockwise spiral referred to negative, destructive forces of the Animal Mind, which were opposing the powers of Allat. 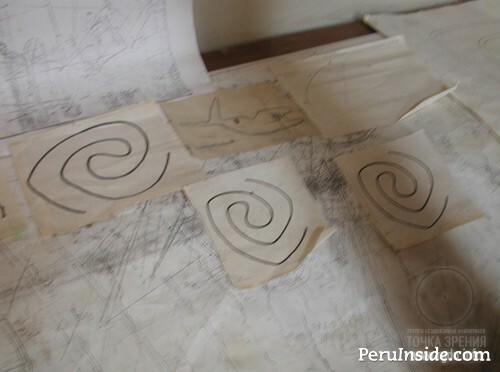 In designation of spiritual practices, the symbols of spirals were used in the meaning of energies or their fusion. Also, a spiral of three and a half turns designated the energy which in the East, as I have already mentioned, is still being called the “sleeping Kundalini serpent” and symbolises the hidden energy potential of a human being. Later on, instead of the above-mentioned sign that looks like a “bug”, female goddesses began to be depicted, thus designating the process of attainment of spiritual fusion with the Soul and liberation of a human being from the material world. Thus, people recorded one of the original additional explanations that a human being could achieve such a state only with involvement of the generative powers of Allat (the divine feminine principle). Moreover, indications that were similar in meaning were used in the form of two spiral snakes entwined with each other. If such symbol was depicted together with an image of a person performing a spiritual practice, then it was usually indicated that the tails of the snakes were coming out of the person’s first chakran (Muladhara); the bodies were entwined in three and a half turns, and their heads were close to the seventh chakran (Sahasrara, or the “Thousand-Petaled Lotus”). In such way the path of this energy movement in the human energy “body” was indicated for convenience. The Eastern treatises that narrate about spiritual practices still refer to the awakening of the “Kundalini Serpent” as attainment of the spiritual state of enlightenment, an escape to Nirvana. By the way, owing to such an associative symbol, which had been previously connected with the spiritual knowledge, some peoples still revere ordinary snakes found in their localities as sacred reptiles. 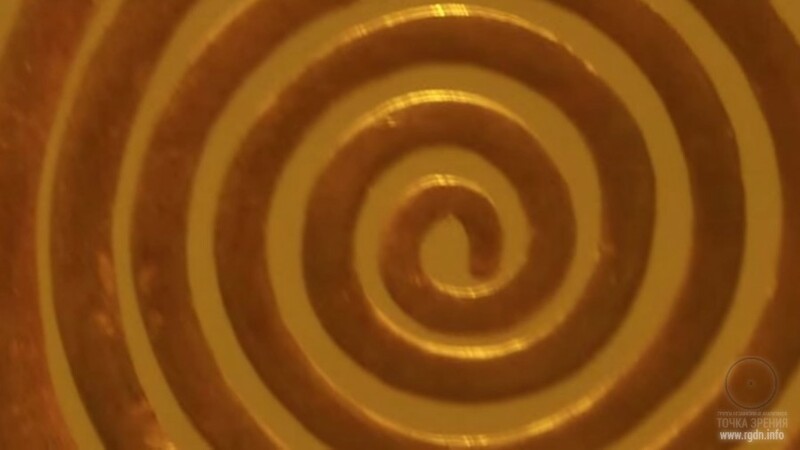 In the video below there are oppositely directed spirals – see a fragment starting from the minute 2:58. 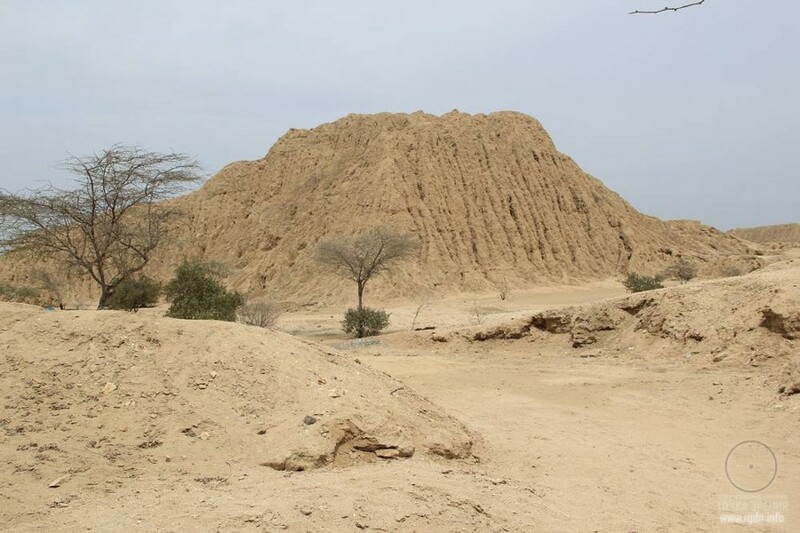 It turns out in Lambayeque region there are even ancient pyramids! ... the issue of the Sican culture is that the authorship of its emergence belongs to a single person – the researcher Izumi Shimada. The quest for the origin of this civilization that has been unknown until recently is associated exactly with his name. This sounds similar to Excavations in San Bartolo! Do you remember the Director of Proyecto San Bartolo-Xultun and US citizen William Saturno? 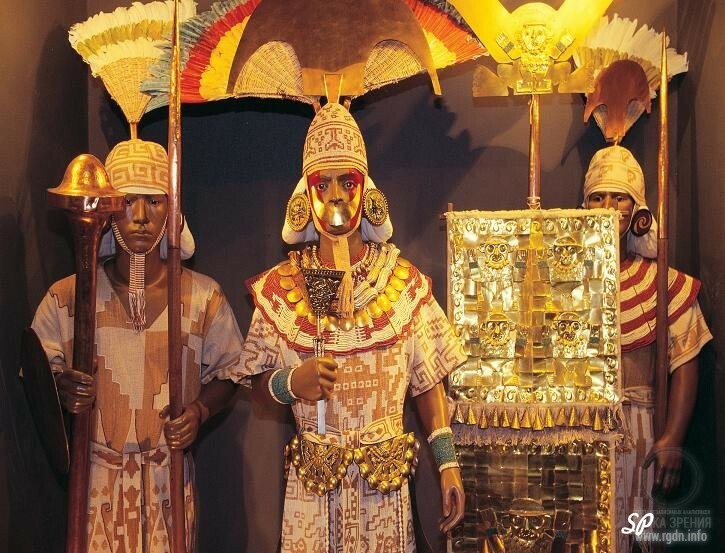 ... sometimes this culture is called Lambayeque... Certainly, there are no written sources on the culture... First and foremost historians tell of the culture existence in the time period between the Moche culture, which is already known by a number of publications and has manifested itself in the history of South America, and the unification of peoples under the auspices of the Inca Empire as the most famous formation on the continent. 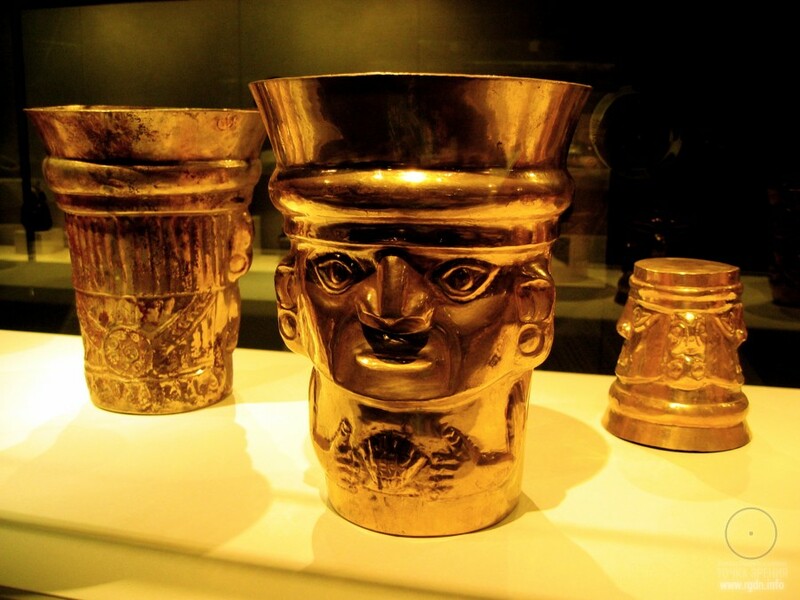 At that, the Sican culture is dated to 750-1375 AD. 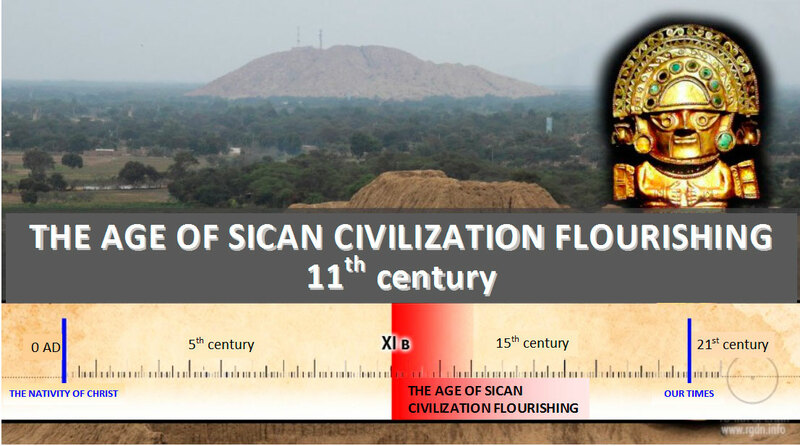 ... the early period of the Sican culture development, which started in 750 AD, gives no information of these people. 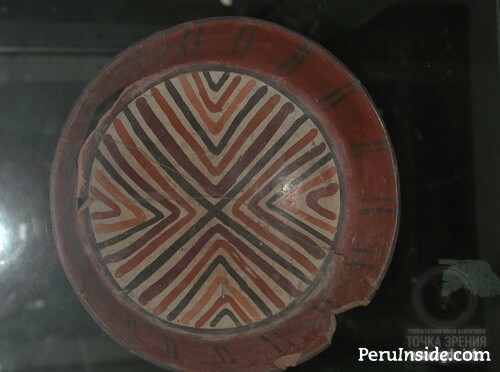 We can only indicate that only based on the availability of peculiar ceramics in this territory historians draw conclusions on emergence of a new civilization that eventually advanced to a significant level. 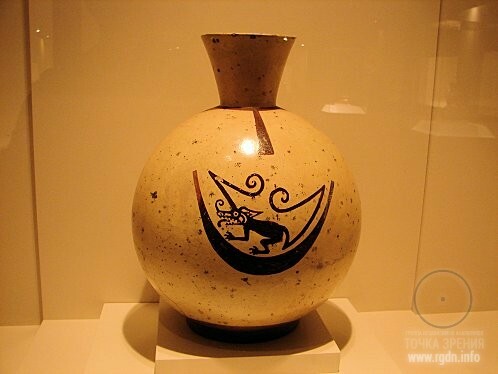 Izumi Shimada whom we already mentioned finds some other evidence of originality and uniqueness of the Sican culture in such an early period, but let’s leave on his conscience the facts he suggests. 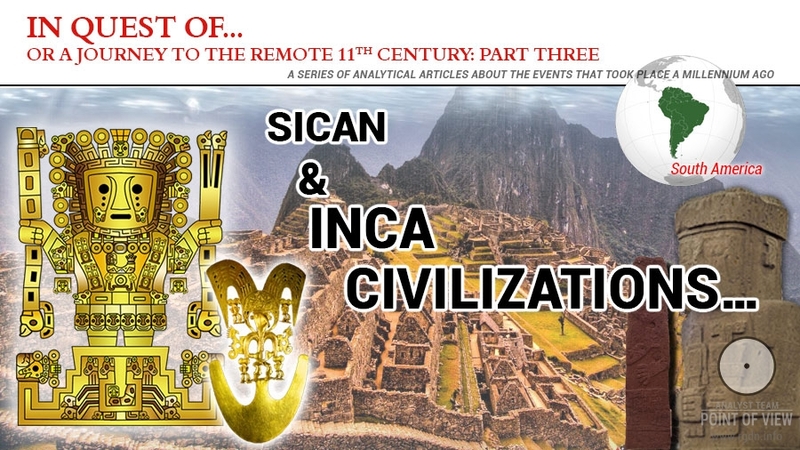 The second stage of the Sican history is much more interesting and multifarious, for in this period certain features of a new civilization that grew from another, earlier one are already manifestly traced. 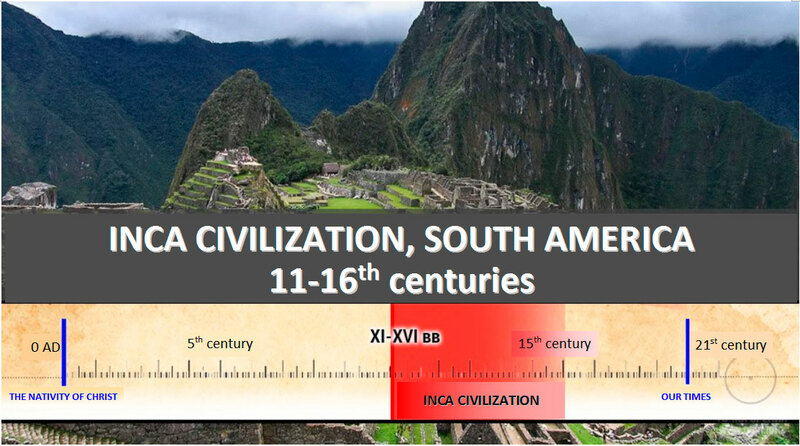 The heyday came 150-200 years after the civilization emergence, namely in 900-950 AD... It was a period of cultural flourishing, marked with various cultural innovations, many of which were unprecedented in those lands. This is indeed very close to the truth! Taking into account that historiographers know nearly nothing on the subject, I would admit a slight shift in dates, to be more precise I would indicate the 11th century, since based on the following sources a mysterious civilizing enlightener did come to this land at that time. The iconography of images of the Sican deity is truly unique (Nickle Arts Museum 2006, p. 66). The moon and the ocean may symbolize that the Sican deity was responsible for wellbeing of marine life and fishermen. The moon – the crescent – the Allat symbol… And earlier we already found marine symbols, for centuries imprinted in the Temple of Quetzalcoatl, do you remember? Water motifs in iconography also evidence the importance of irrigation and agriculture for the Sican people. Other attributes, e.g. the sun – moon pair, symbolize duality of human and heavenly life. The sun-moon pair – isn’t this the AllatRa sign? A traveller going westward from the Yucatán Peninsula would necessarily have to pass through Tzeltal in Tabasco rainforest. 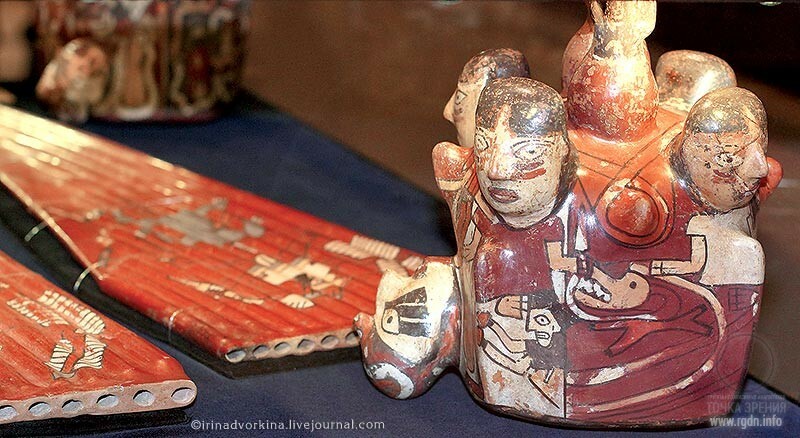 Local legends tell about Votan who came from Yucatán. Daniel Brinton, an eminent connoisseur of American myths, says very few myths of folk figures have caused so many speculative inventions as the myth of Votan. In remote ages Votan came from the east. He was sent by gods in order to split the earth, distribute it between human races, and give its own language to every race. The land from where he came was called Valum Votan. When Votan’s embassy arrived at Tzeltal, people were “in a sorry plight”. He allocated them in villages, taught to cultivate plants, and invented hieroglyphic script, pieces of which have remained on walls of their temples. It is also believed that he wrote his story on those walls... In actual fact mysterious Votan left for the Zoque plateau and got the name of Condoy there. The Zoque people, mythology of which is almost unknown, were neighbours of Tzeltal inhabitants. By their legend, the father-god came and taught them living. 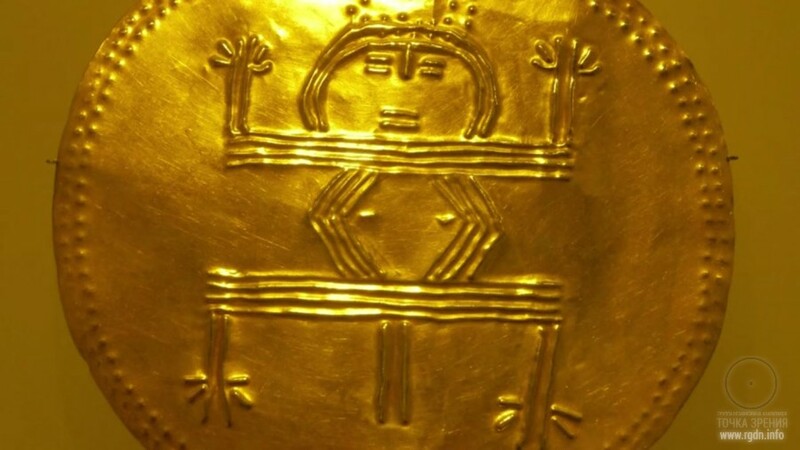 Moreover, they believed he did not die, but retired into a cave in a light golden garment, sealed up the entrance and left for other nations… To the south of Maya and Zoque lands the K'iche' people of Guatemala lived, whose culture was very close to that of the Maya. From the Popol Vuh sacred book we know these people also knew the stranger who passed through these lands. The K'iche' people called him Gucumatz. Is there any archaeological evidence? Or were the white-skinned bearded strangers mere ghosts, products of the Indians’ fevered imagination? The medieval Spaniards did not destroy all the local statues, some of them were hidden by the natives. 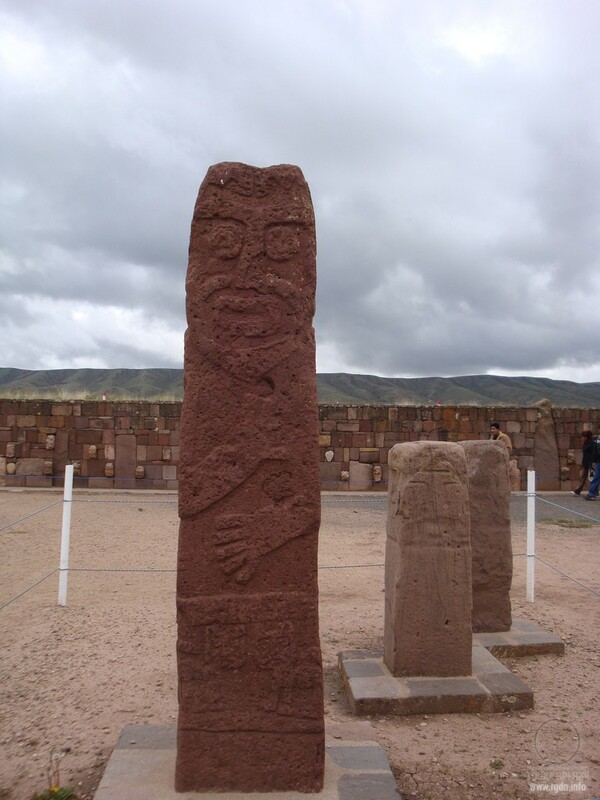 When in 1932 archaeologist Bennett carried out excavations in Tiwanaku, he came across a red stone figurine depicting god Kon-Tiki Viracocha in long garments and with a beard. 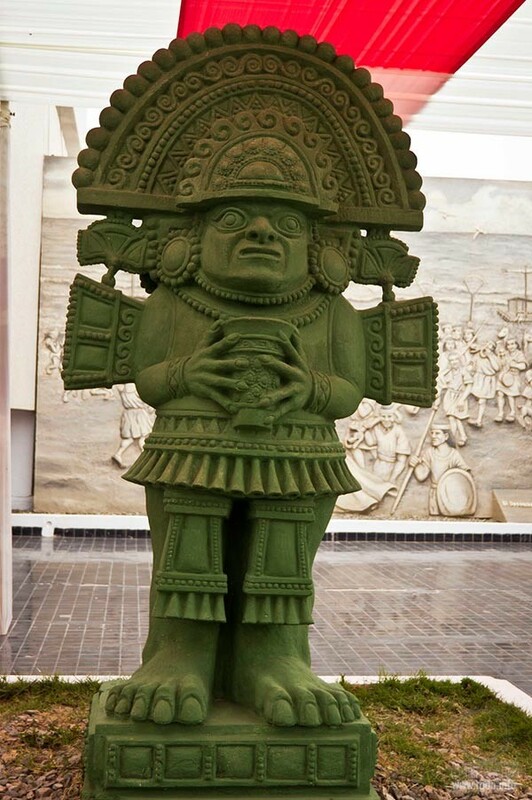 His garments were decorated with horned snakes and two pumas – the symbols of a supreme deity in Mexico and Peru. Bennett asserted the figurine was identical to the one found on the side of Lake Titicaca, on a peninsula that was the closest to the island of the same name. Other similar statues were discovered around the lake. Similar items are found in Ecuador, Columbia, Guatemala, Mexico, and El Salvador. Even a passing knowledge of the different-genre literature on the history of Peru would be sufficient to see numerous mentions of the bearded white-skinned Indian deities. 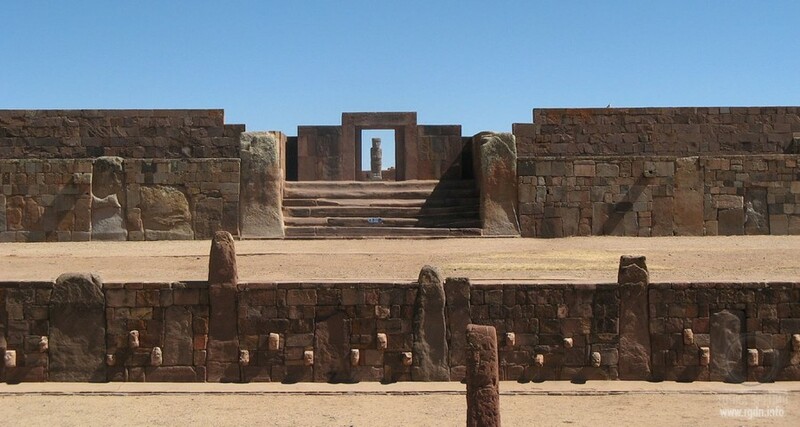 Numerous legends say he came on cane boats to Lake Titicaca and established the megalithic city of Tiwanaku. 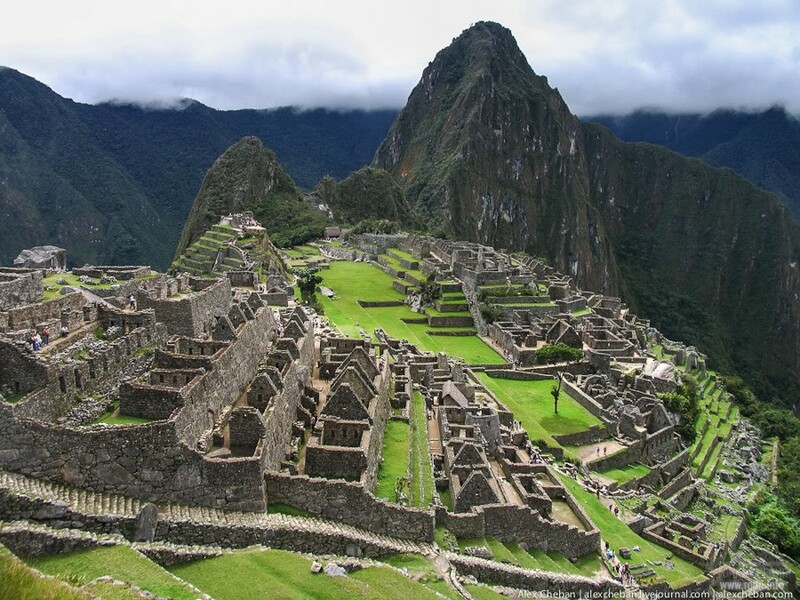 According to legends, from there he supposedly sent bearded ambassadors to all parts of Peru, who taught people and told them he was their creator. Hence, again we hear a story of someone influential and competent who came to the people who were to establish one of the most powerful civilizations on the planet, which civilization would last for several centuries. When the chronicler Betanzos who participated in the first Peru marches of the Spaniards asked the Indians how Viracocha had looked, they responded he had been tall and wearing floor-length white cloths. His hair was fastened on his head with a tonsure; he walked grandly and held something similar to a prayer book in his hands. 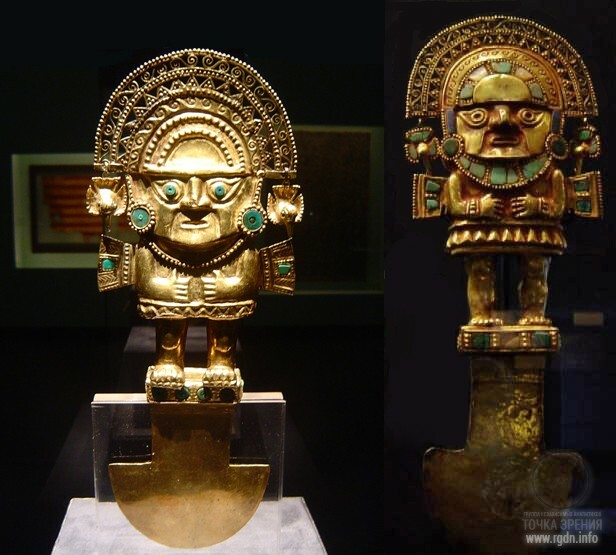 Where did Viracocha come from? There is no single answer to this question. “Many believe his name is Viracocha Inga, meaning “the spindrift”, as chronicler Zarate writes, while Gómara asserts that according to elderly Indians Viracocha had taken his people across the sea. The most frequently used name Kon-Tiki Viracocha consists of three names attributed to one and the same white deity. In the pre-Incan times, on the seaboard he was known as Kon and inside the mainland as Ticci. But when the Incas came to power and their language (Quechua) spread all over the region, they found out the two names were associated with one and the same deity whom they called Viracocha. Since that time the three names were combined. 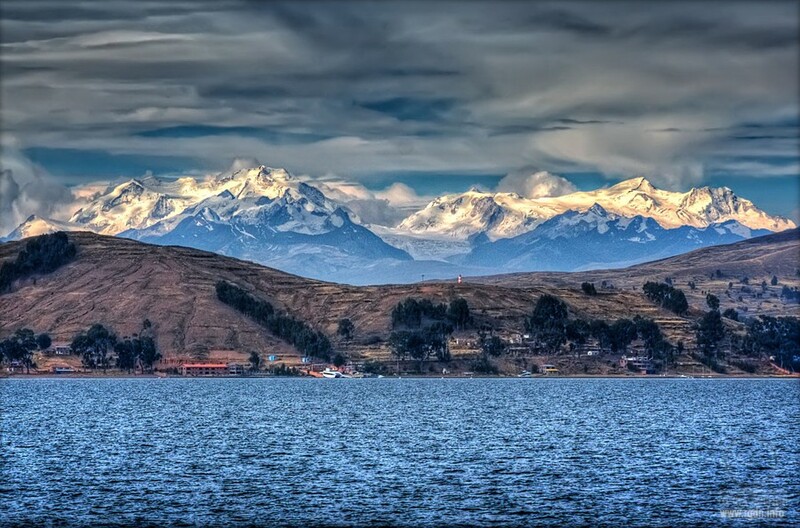 Indian legends say the white deity came from the north, from over the sea, and ascended to Lake Titicaca. “Humanization” of Viracocha most brightly shows in the legends where purely earthly features are ascribed to him: he is referred to as clever, skilful and kind, but at the same time is called the Son of the Sun. 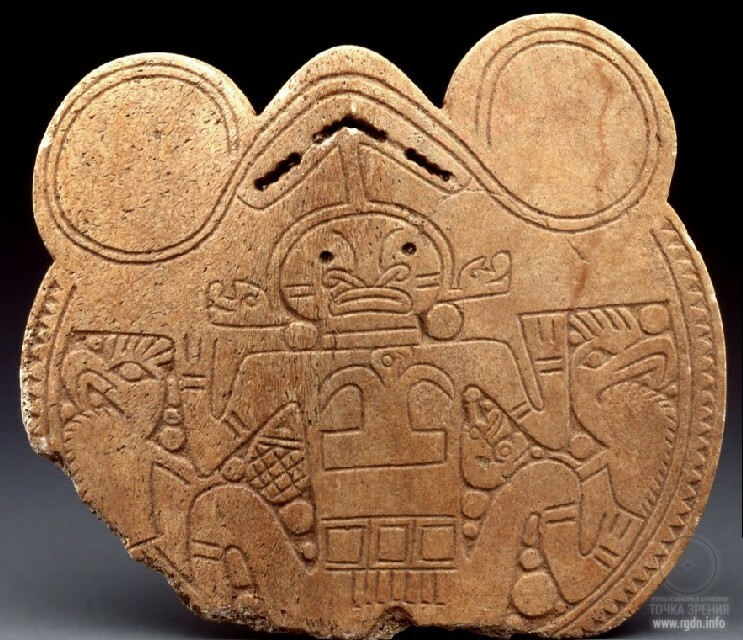 In the above image of Viracocha we can see he controls the two animal lateral Aspects (evident traces of the Primordial Knowledge), so it becomes clear everything else is not pictures for amusement either. 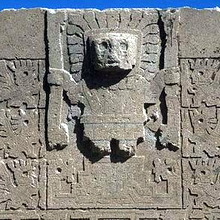 In Tiwanaku there is a stone idol of one more bearded man whom Graham Hancock repeatedly mentions in his books. If we look closely, at his feet there are two beasts as if appearing from different sides. Traces again? Yet, we will hardly ever sort this mess out, for many centuries have passed, and many artefacts and records were destroyed by the Spanish conquerors. 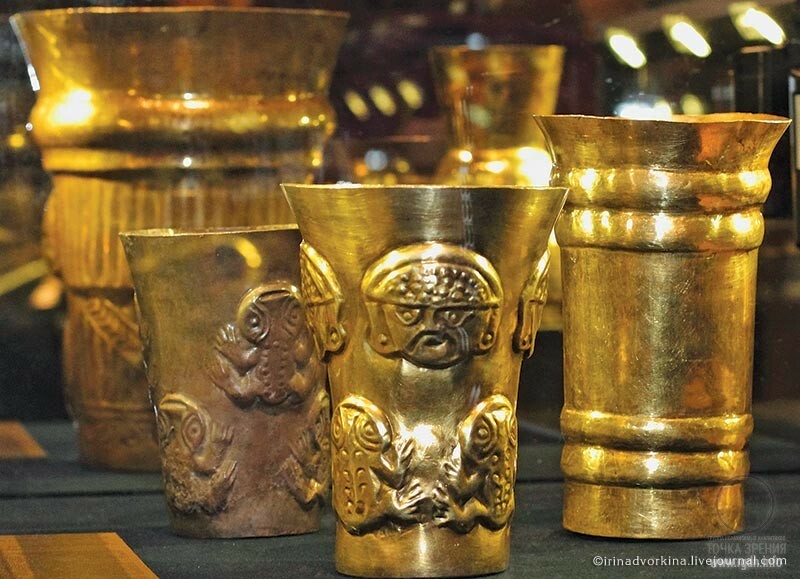 How did the mighty Inca Empire emerge? As history shows, always and everywhere Someone appears who gives impetus to development, and first and foremost this relates to the spiritual knowledge, for the latter is exactly what is imprinted in everlasting stone or precious gold. 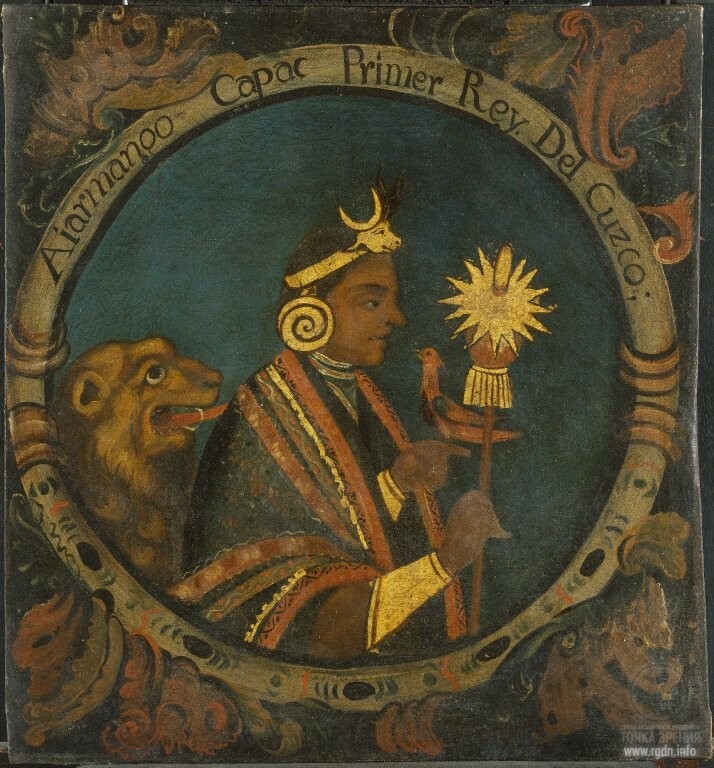 The founder of the future great empire was the First Inca. Being just an ordinary web surfer, I have no idea whether it was Kon-Tiki, Viracocha or Manco Cápac in one person? I only find and point at similar features. By the way, in the centre of the above picture we see equilateral crosses again. The Inca Empire (Quechua: Tawantin Suyu, Tawantinsuyu, lit. "The Four Regions"), also known as the Incan Empire and the Inka Empire, was the largest empire in pre-Columbian America, and possibly the largest empire in the world in the 11-16th centuries. 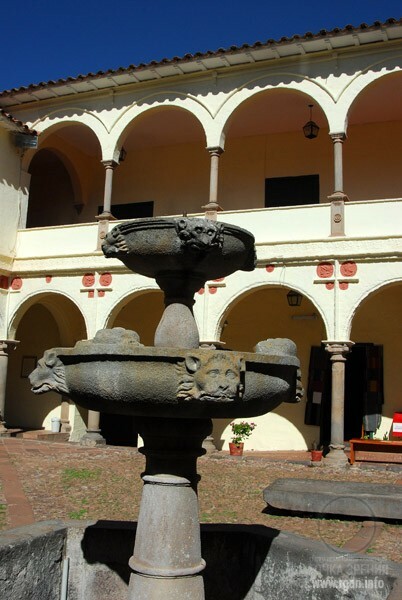 The administrative, political and military centre of the empire was located in Cusco in modern-day Peru. It occupied the territory from contemporary Pasto in Columbia to Rio Maule in Chile. 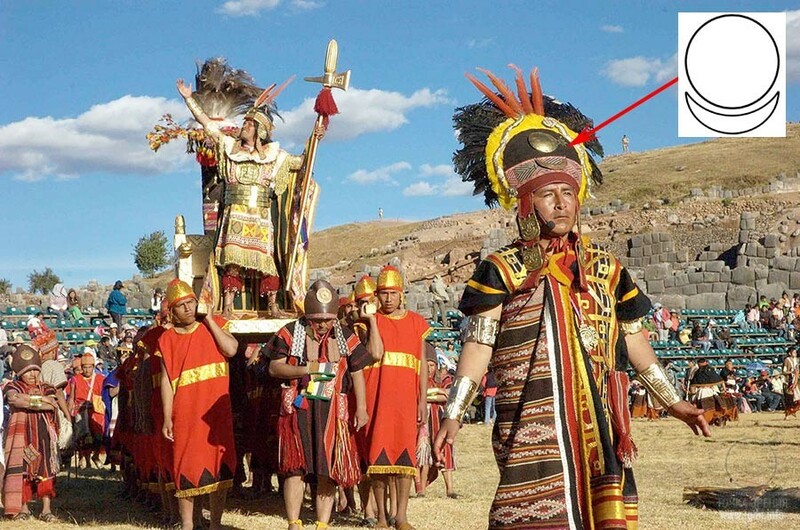 The Incas worshipped the sun (Inti) as the main deity and considered their king, the Sapa Inca, to be the “son of the sun”... Manco Cápac(Quechua Manqu Qhapaq or Manku Qhapaq) was the First Inca, the founder of the Inca state (Tawantinsuyu). 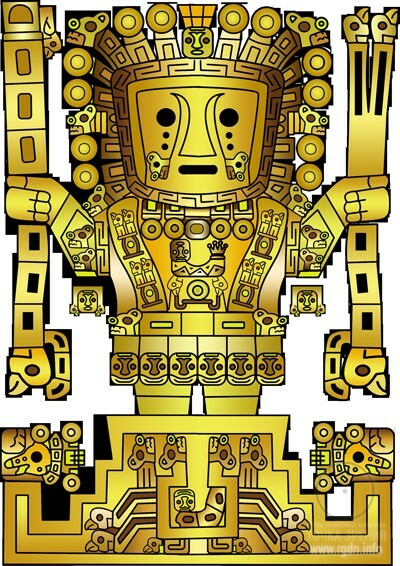 Besides the worship of the sun as a visible god in honour of which they arranged great feasts, Inca kings and their amauts (philosophers) followed the true Creator of heaven and earth, the Almighty Lord, which we will further see in statements referring to the Divine Majesty called Pacha Kamaq. The name is composed of the words pacha meaning “the world”, “the universe” and kamaq (camac) being the present participle of the verb kama that means “to revive”, while this verb originates from the word kama meaning “the soul”. Thus, Pacha Kamaq means “the one who installs the soul into the world, the universe”. 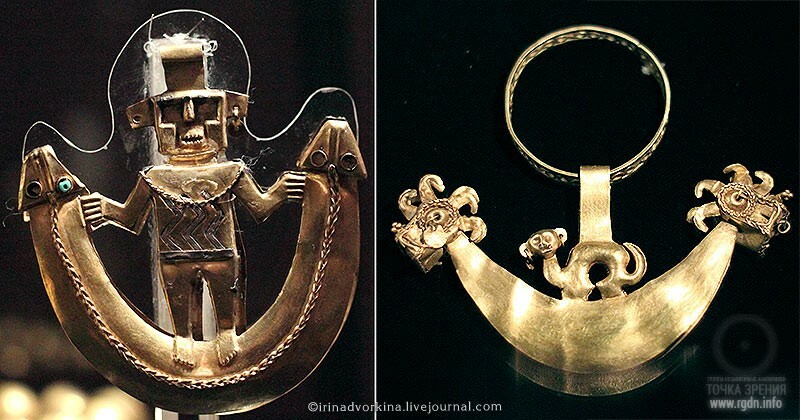 In the Inca mythology Viracocha is the creator of civilization and one of the main deities. 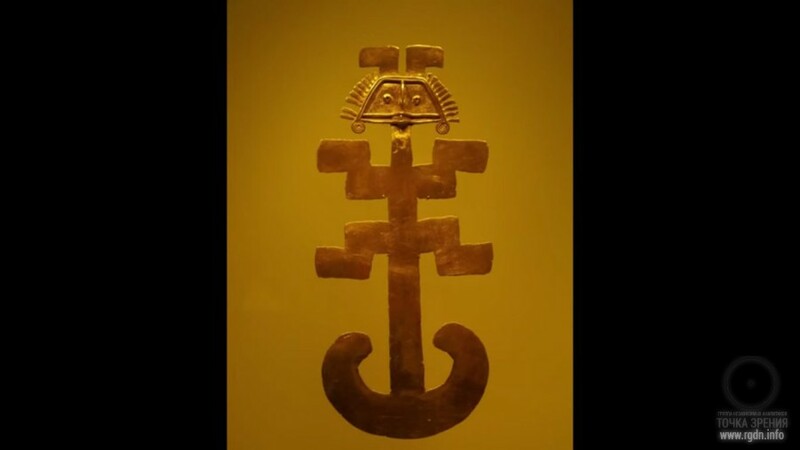 One of legends says Viracocha and his wife Mama Cocha (the Sea Mother) gave birth to the son Inti (the sun) and the daughter Mama Killa (the moon). Viracocha (Quechua Wiraqucha, Spanish Huiracocha or Viracocha), Kon-Tiqsi-Wiraqucha is the god-creator of the world in religions and mythology of many pre-Columbian peoples of the Andean region. In the above record let’s interpret the “combination” of the wife Mama Cocha (the Sea Mother), the son Inti (the sun) and the daughter Mama Killa (the moon) in a slightly different way. Looking from the perspective of symbolism, we get the following: WATER – SUN – MOON. Water “symbolized the other, spiritual world in the interpretation of ancient people...” (AllatRa, page 391), while “the sun” and “the moon” together form the AllatRa sign. So, let’s record a new mark: the 11th century. 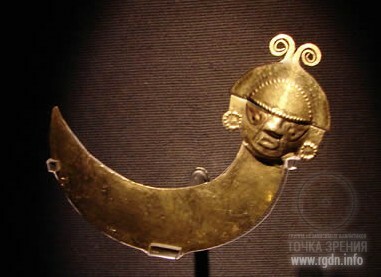 Some Incan legends say Manco Cápac was the son of the sun god Inti and the moon goddess Mama Killa. He was sent by his father to the earth to save people from wildness and barbarity, teach them agriculture and crafts, and establish the cult of “genuine” gods: the sun, the moon and Pachacamac – “the creator of the world”. Based on the legends, Manco Cápac ruled the country for about forty years, introduced a code of laws, and supposedly abolished human sacrifices. Where have we heard anything like this? In records of Quetzalcoatl! History is an amusing thing, isn’t it? 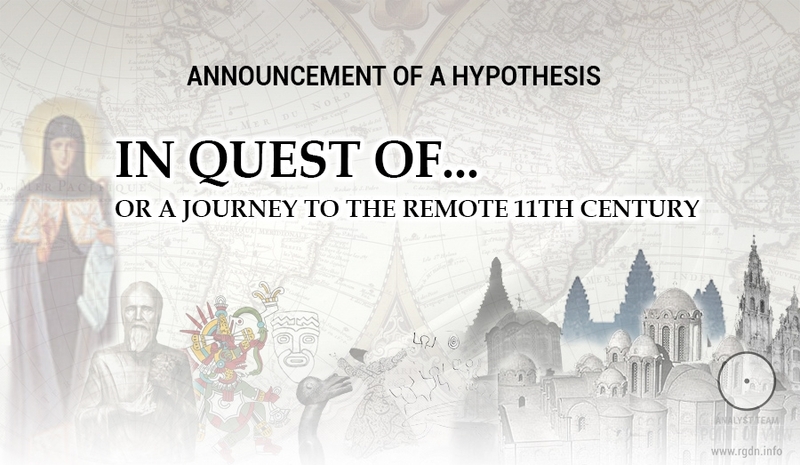 Generally speaking, we can build plenty of hypotheses such as: “Who was Kon-Tiki?”, “Who was Viracocha?”, “When did he live?”, “Who was Manco Cápac?”, “Who laid the first “stone” in the “foundation” of the great Inca Empire?”, etc. 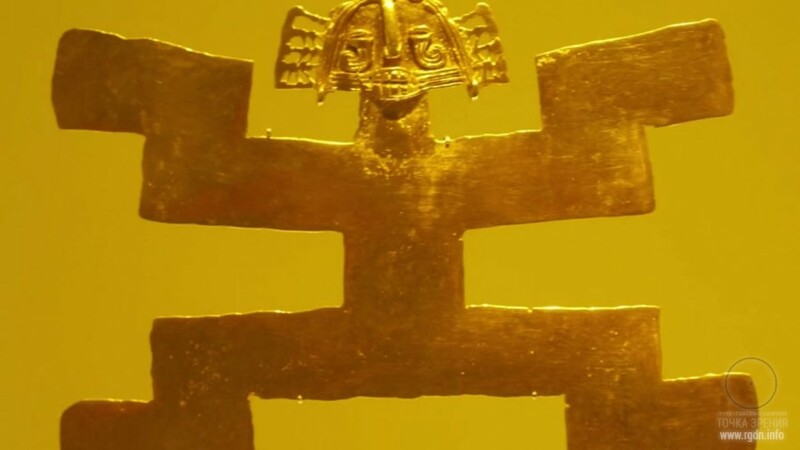 Under manifold myths today we will hardly find any reliable facts, so I suggest not to rack our brains and better pay attention to the abundant Incan heritage – the gold. 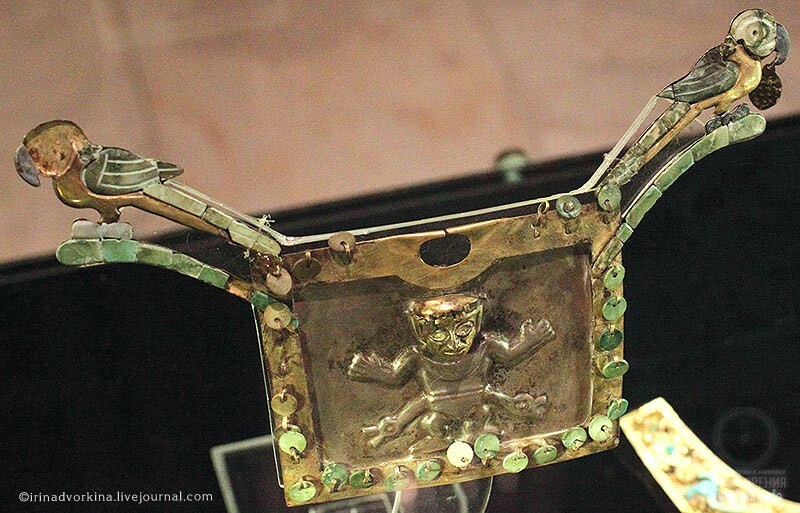 It should be mentioned the Incas left a wonderful, yet unsolved heritage after themselves. 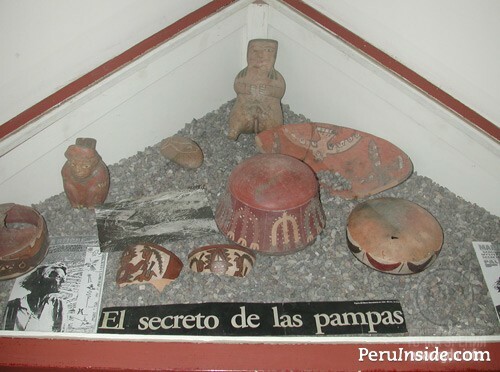 I chose some exhibits from famous historical museums of Lima and Cusco in Peru. Oppositely directed spirals: the symbol looks like the “sacred bug / frog” – the symbol of spiritual liberation. Aren’t these the four Aspects? Again and again we see “bugs” and “frogs” looking like symbols of spiritual liberation. 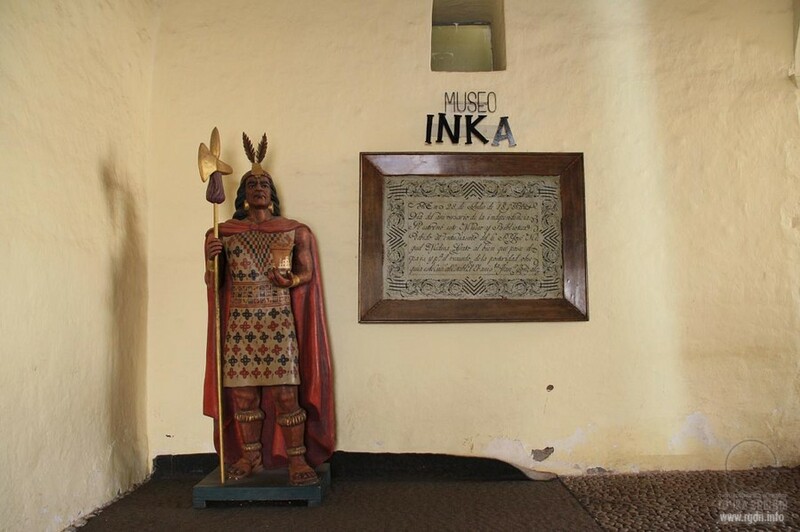 At the museum entrance, there is an equilateral cross on the Inca warrior’s garment. On the right, we can see tableware decorated with crescents (Allats). Finally, from where do they know about the AllatRa sign? In a word, we can refer to countless images indicating the presence of advanced spiritual knowledge in traditions and culture of South American Indians, but unfortunately very few people understand the essence. It is also obvious that somebody deliberately brought such knowledge to those lands, as legends indicate as well. 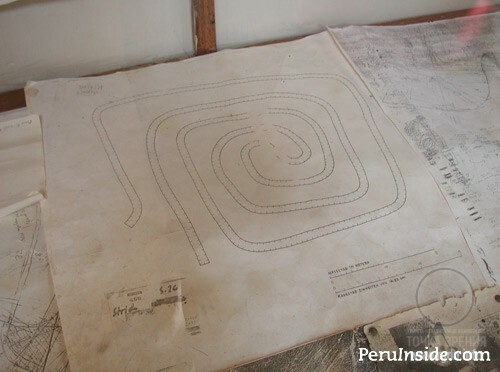 For those who want to delve into the Incan culture and heritage the web will be of great help, while for us it is time to draw conclusions so as to preserve the logical plotline. An enormous number of extant archaeological finds! 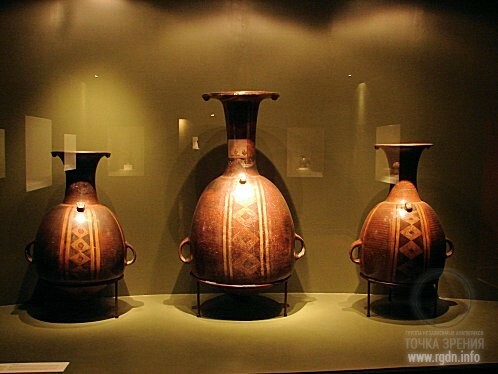 Numerous symbols and signs that hint at the Primordial Knowledge are reflected in treasures of extinct cultures, which treasures are now kept in history museums (those who want may view relevant images on the web). The signs found are as follows: “bugs”, “frogs”, the birdman, the crescent with its horn pointing upward, the lateral Aspects, oppositely directed spirals, and so on. The Sican culture founder Naylamp arrived by sea from the north. 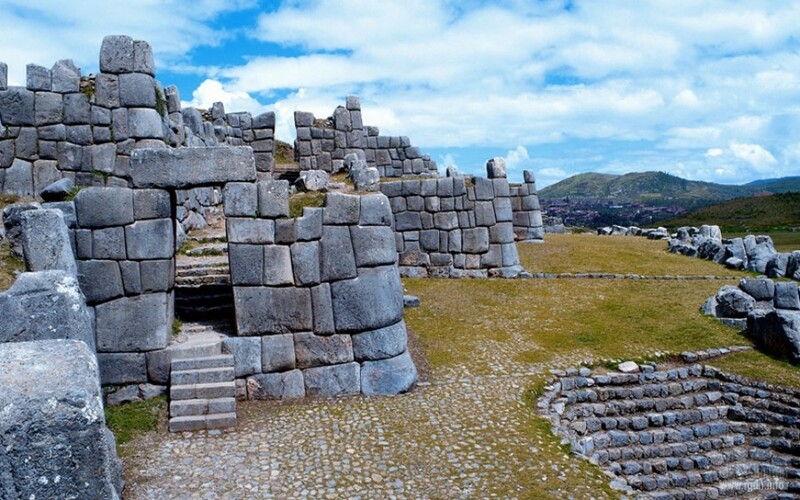 The First Inca Manco Cápacalso came from the north (by Lake Titicaca). Having analysed the available legends, we get a clear understanding that the great Teacher came by water exactly from the north (since there are mountains in the east, Antarctica in the south, and the Pacific Ocean in the west). 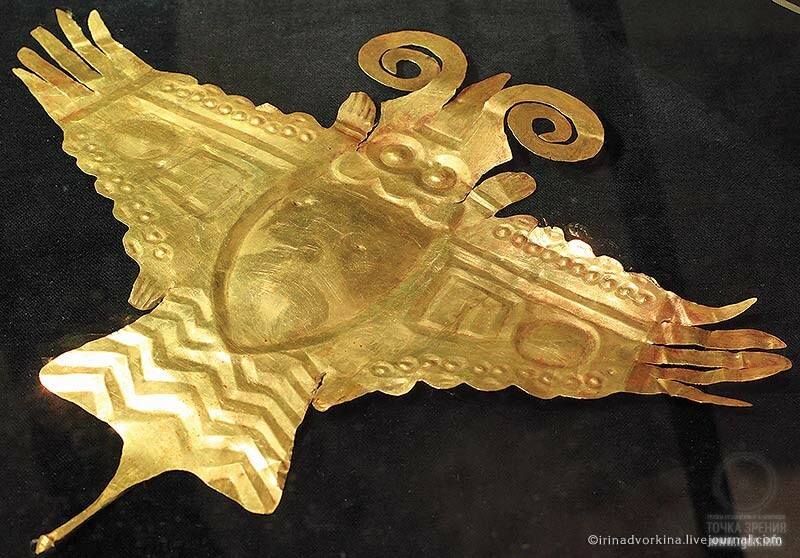 May we somehow link the newly collected information with Quetzalcoatl? I would dare assume he moved with his companions southward, to the South American continent, for the traces of knowledge left in Sican and Inca civilizations of that time are very, very similar. 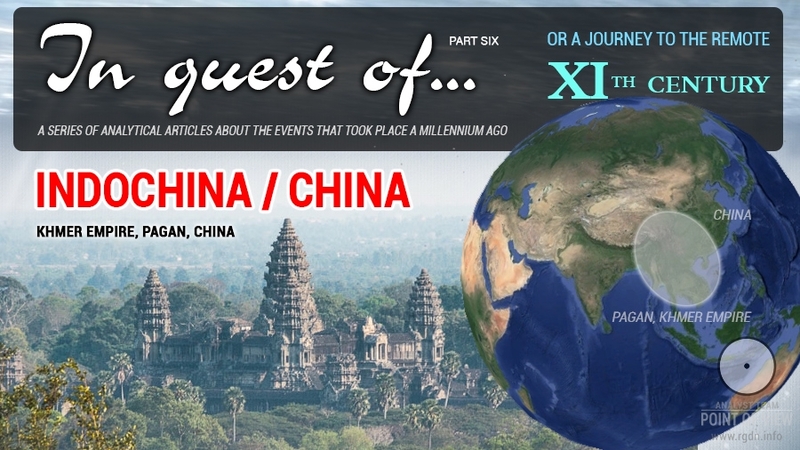 Once we release the fourth part of the series In quest of…, this will be even more apparent. According to certain legends, Kon-Tiki / Viracocha left the Indians like Quetzalcoatl and sailed away into the Pacific Ocean. 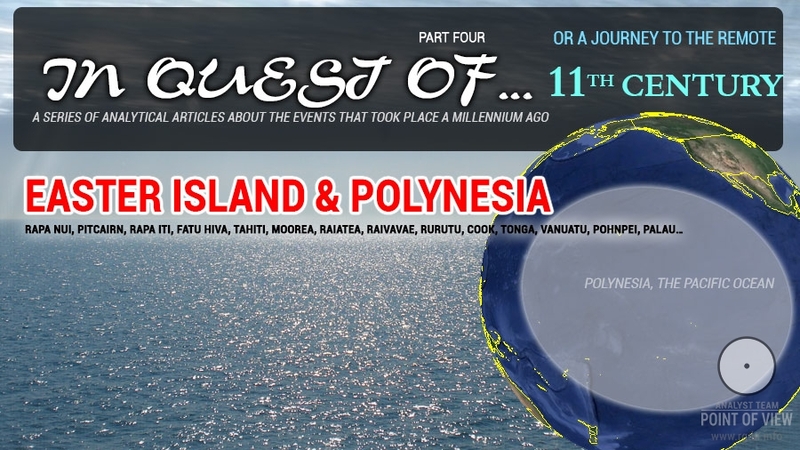 Should we compare information about the pale-skinned elements in America and Polynesia with Easter Island legends of the eastern homeland, we can assume those white people were moving from America to Polynesia. One of confirmations is a similar custom of mummification of dead bodies in Polynesia and South America, while in Indonesia they did not have such a custom at all. Such special way of mummification spread along the seacoast of Peru and was eventually brought by migrants (white-skinned?) to separate islands of Polynesia. The two mummies recently discovered in a cave on the Hawaiian Islands have “demonstrated” all the details of the said custom in ancient Peru. Up until the arrival of the Spaniards, in the entire tremendous Inca Empire Indians knew the way Viracocha and his companions had left along. They descended to the Pacific coast and left by sea to the west along with the sun. This means the story is to be continued.